A 2-day intensive and unique workshop experience with Roberto Valenzuela. Limited to 15-20 students. The deposit of $375 will hold your place towards the total tuition of $1250 USD. Balance is due 30 days before Workshop Date. during both days of the workshop. Location: TBA You will receive an email as soon as the location is confirmed. 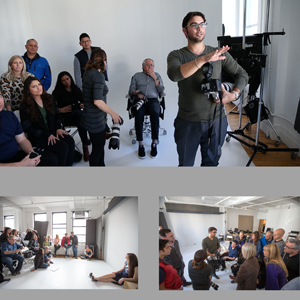 First and foremost, this workshop was primarily designed by Roberto Valenzuela to teach and help photographers master posing using his Picture Perfect Posing System (P3S). Posing master class based on Roberto Valenzuela’s Picture Perfect Posing System (P3S). Setting client expectations ex. available light, post production editing, blemish removals vs. liquifying. Removing objects, etc.